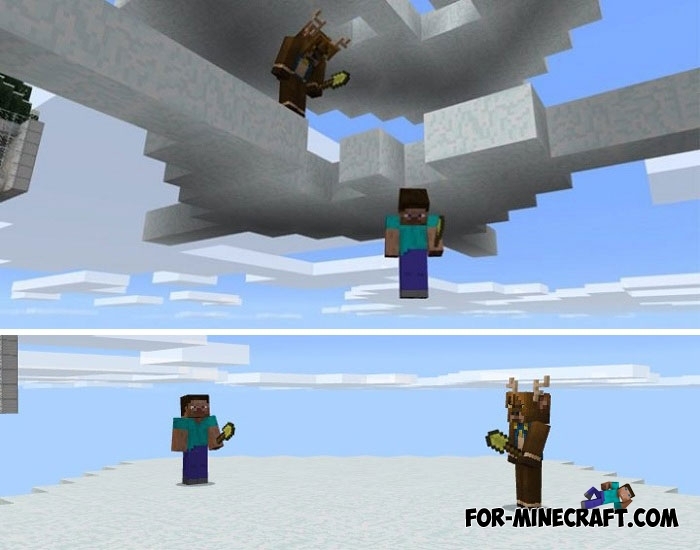 Let's imagine that you are in a group of players who want to have fun in Minecraft Bedrock. What can you all do? There are many genres of maps from simple survival to spleef and parkour. Spleef is a place where every player should only care about himself and also fight with others but not killing opponents. There are several floors that are fields for battles. Your main weapon is a shovel and it is not used as a sword - that is, you do not need to wave it and beat the players. You and the rest of the game have to dig out the blocks from under the opponents' feet. Only in this way you can get rid of competitors and win. Do not rejoice ahead of time when you drop one of the players down. He will fall to the floor below and there you will have to repeat the victory. Once the player has fallen from the last floor, he is considered a loser. The winner will be the most agile and fastest player in Minecraft PE.